Look at any form of art, be it poetry, prose, paintings, music, or food, the deeper one can delve in them the better is the piece of art. Depth adds the much needed drama to art forms. The more layers an art form has, the harder our minds work to comprehend them. This is precisely why, we enjoy depth, drama, and complexities in art forms (so is the case with life). When it comes to home decor, textures can add a new dimension to your living space. Wall texture paints can enhance the overall appearance of your living room and make it look worth a million bucks. Are you looking for texture designs for wall paints for your home? Scroll down to get a glimpse of the most popular wall textures in the market to elevate your living room space. Consider going for a classic stone wall treatment for one of the walls in your living room. Stone walls add class and charm to any living space. It can provide an interesting contrast to the modern furniture in your living room. The stone wall will feel like the ‘blast from the past’ whereas your paintings, furniture, and home theatre will add contemporariness to bring about a perfect balance. Give your bright and spacious living room a playful touch with a cleverly placed tile mosaic over a focal wall. This addition will instantly spruce up the aesthetic value of your room. You can attain the tile like design texture with the help of different painting techniques. You can ask the painting experts to use the combing texture application technique. In this technique comb-like instruments are used to create patterns such as zig-zags, wavy lines, checkerboards, etc. You can also opt for rustic metallic wall texture paints for your living room for a cool, raw feel. If you are into earthy designs and patterns, then rustic or rough textures are something you would love to have in your living room. 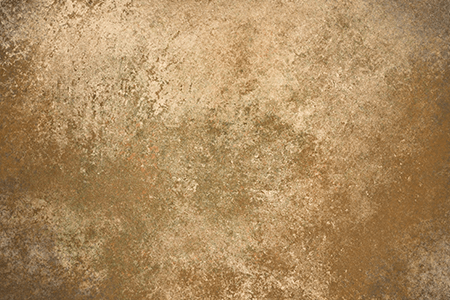 If you tell the painting expert to use rustic texture designs for wall paints, then you will find them use a technique called rag rolling to create a rugged appearance on a wall. All you have to do is dip a rag into the paint, squeeze out the excess paint and roll it along the wall for an uneven gorgeous look. Floral designs, be it in print, embossed, or carved, tend to look elegant. You can use floral texture designs for wall paints in one of the walls in your living room. You can look up for interesting floral patterns online and ask your painting professional to mimic them on your wall. This can be done with the help of stencils. There are various nature wall stencils available in the market that can be used for achieving the floral texture of your choice. We hope we have managed to blow your mind with these exquisite texture designs for wall paints . Connect with us to know more about wall texture paints for your home. Season’s Colour Trend Alert: Pastels are the “in thing”! Since a year or two, we have seen subtle shades of pinks, blues, and yellows all around. From clothes to accessories such as bags and jewelry pieces, to make-up, pastel colours have made their way to everything. And, they reflect in modern homes as well. As we all know, everything under the sun has a limited period of existence. This includes us humans as well. When life itself is mortal, then how can you expect objects to stay immortal? But, that doesn’t mean that nothing can be done towards prolonging the life of an inanimate object. The same applies for exterior paint colours as well.